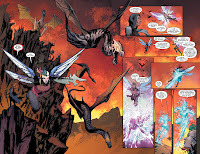 The Fellowship has obtained a first look at ASPEN UNIVERSE: REVELATIONS #2 from Aspen Comics. 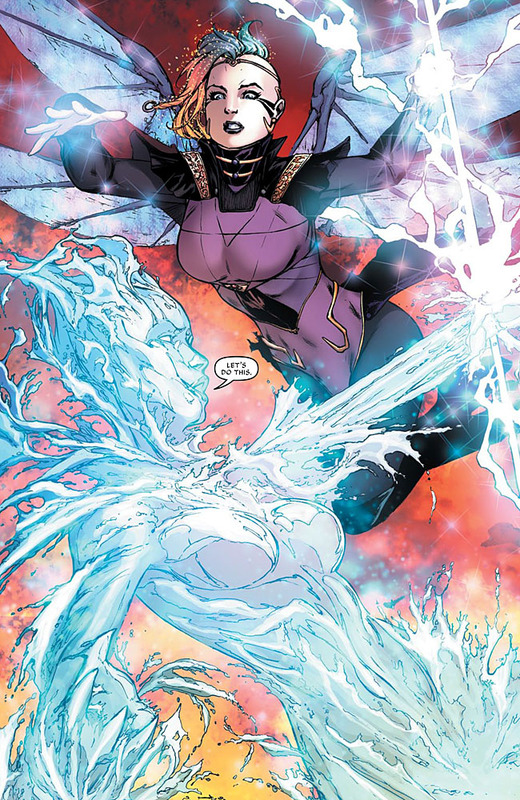 The issue, which hits stores August 24th, is written by Joshua Hale Fialkov & JT Krul with art by Jordan Gunderson and colors by Peter Steigerwald. 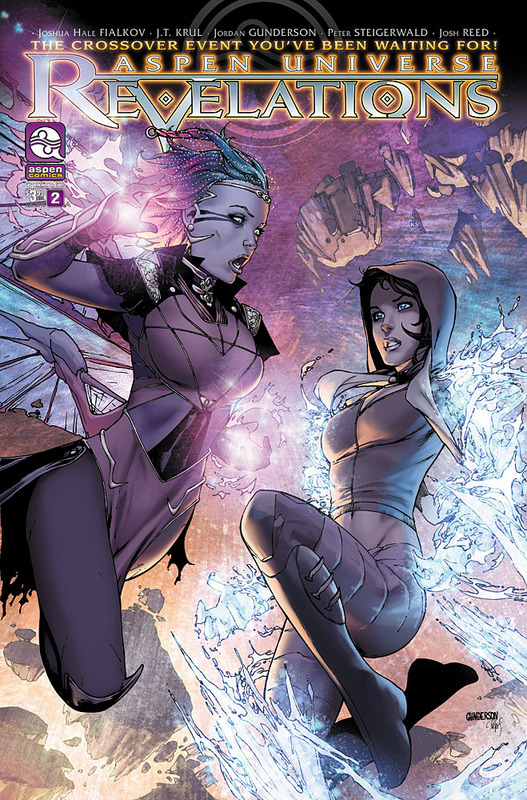 The most groundbreaking event in Aspen Comics' history continues!!! 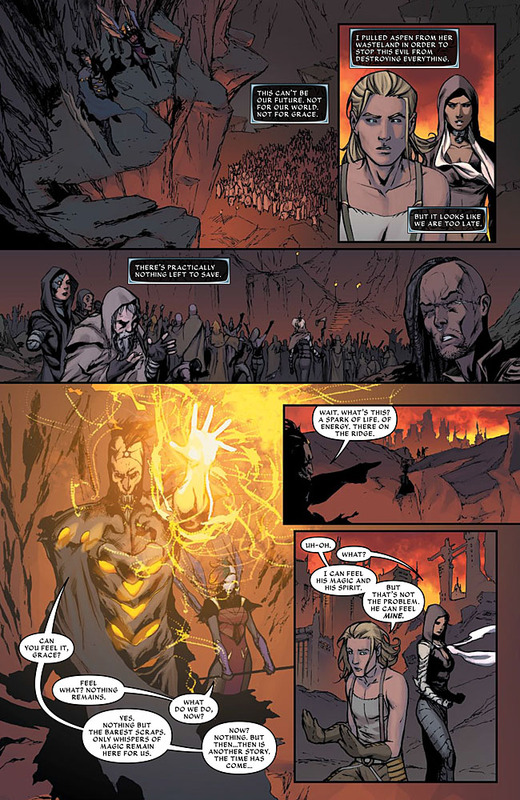 For over thirteen years, devoted Aspen Comics fans have clamored for something special...something unique...something...UNIMAGINABLE! 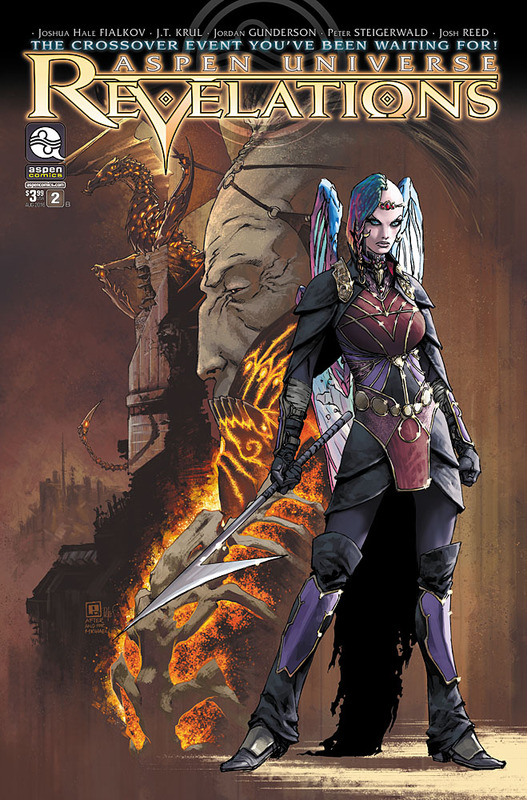 Aspen Comics has answered the call for loyal fans and new readers alike! 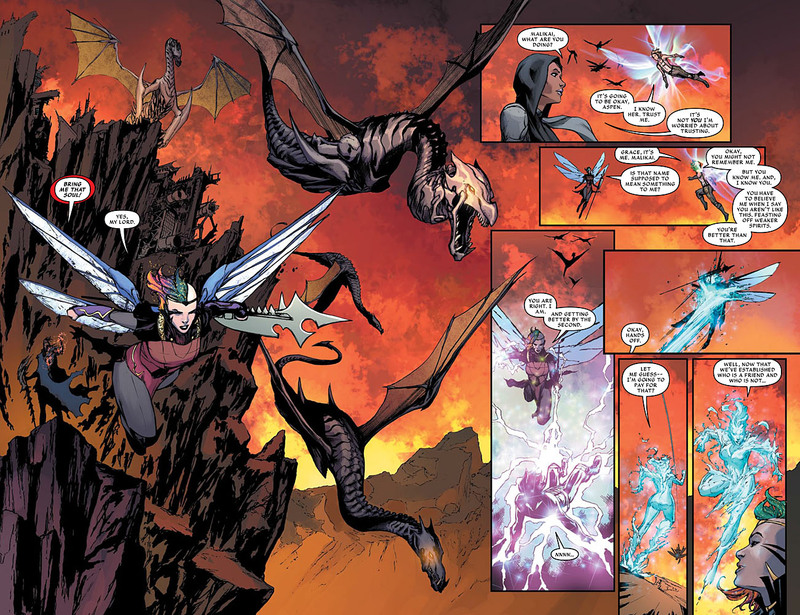 This summer, legendary creator Michael Turner's two greatest creations, Fathom and Soulfire, unite as one in a crossover event so massive in scope, it can only serve to forge a BRAND NEW ASPEN UNIVERSE in the process! Both of Aspen’s most iconic characters meet in this era-spanning second chapter, as Aspen Matthews and Malikai encounter a Grace unlike anything fans have ever seen before—And one that could spell certain doom for the entire Aspen Universe!